The San Marcos Main Street Program is the downtown department for the City of San Marcos. San Marcos was designated in 1986 as an official Main Street City by the Texas Historical Commission and the National Trust for Historic Preservation and is the third oldest Main Street program in the state. A proud member of Main Street America, the San Marcos Main Street Program has maintained national accreditation since 1999. Under the leadership of Program Manager Kelly Franks, Main Street sought to promote small businesses, growth, and historic preservation. Through a four point approach the Main Street Program focuses on the design, promotion, organization, and economic restructuring of downtown, working alongside the Downtown Association of San Marcos. The mission of the San Marcos Main Street Program is to maintain the unique, historic nature of downtown recognizing its history and planning for its future. We strive to provide economic stability to the heart of our City through a comprehensive revitalization program of the National Main Street Center's Four Points of Main Street: Design, Economic Restructuring, Organization, and Promotion. As the Main Street Interim Program Manager Josie updates, maintains program, records documentation and performs general accounting duties; Josie also provides program support and event assistance in relation to the City's Main Street Program in order to cultivate and ensure a successful downtown experience. 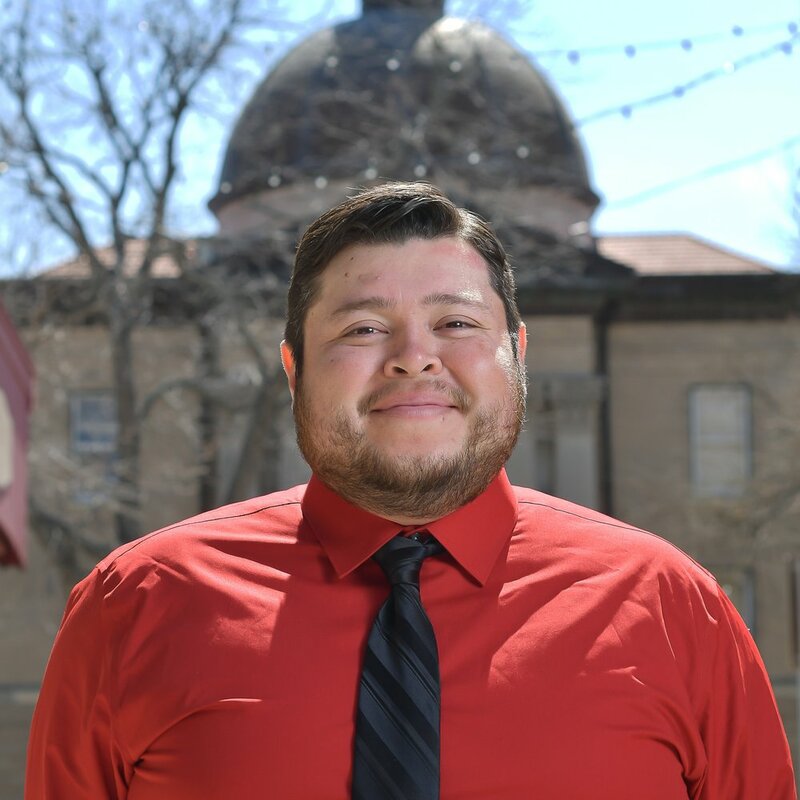 As the Groundskeeper and Volunteer Coordinator, Jeremy helps keep Downtown San Marcos beautiful by performing various types of grounds maintenance and repair tasks; Jeremy also assists with Main Street programs, projects and special events and assigns tasks to volunteers. At Main Street we don't have interns, we have the Dream Team. The Dream Team performs a variety of tasks that align with their dream jobs and college majors. This means on any given day the Dream Team is working on tasks that range from visualizing, putting together events, coordinating with downtown businesses, to researching new grant opportunities for the program.